Simple sides are absolutely key no matter what the time of year. I've had this idea to make a cold, shredded brussel sprouts salad for some time, somehow this idea went in a completely different direction as the shredding began. Warm, sauteed sprouts in a creamy wine sauce - yum. It's exactly what it sounds like and would make a Fat and Happy side dish to roasted chicken, pork or steak. 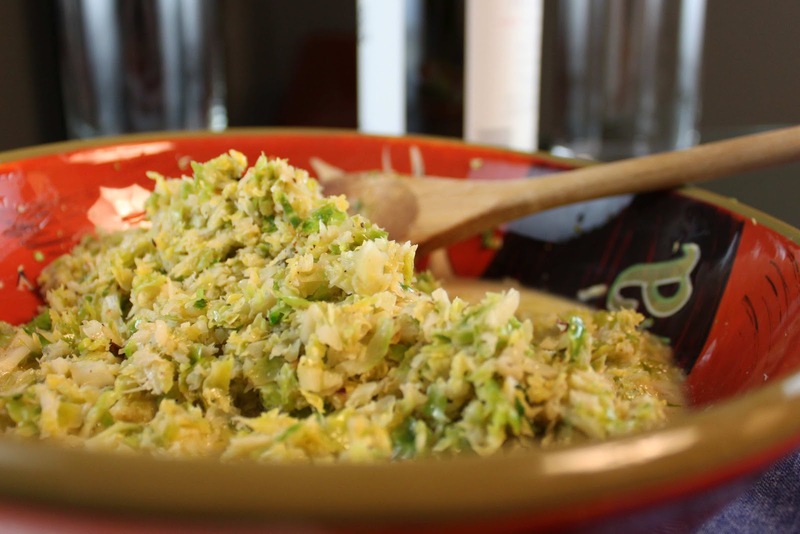 Tips and Techniques: For less mess, shred the sprouts using a cuisinart rather than by hand. Begin by cleaning the brussel sprouts (remove any outer leaves that are damaged) and then shred each sprout, carefully watching your fingers. Place a box grater in a larger bowl when shredding to help catch the fly-aways. 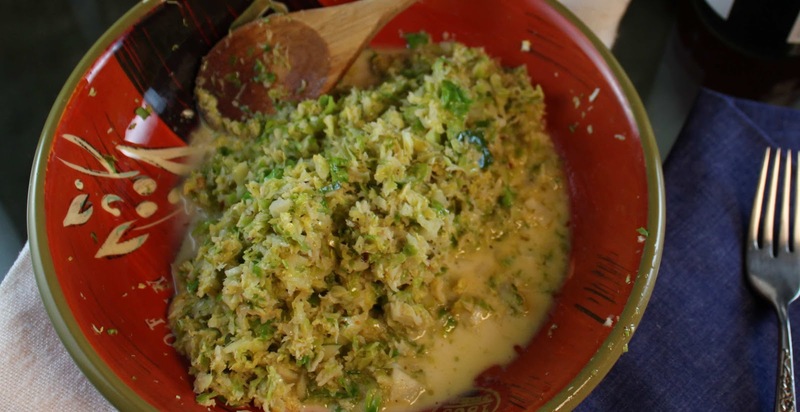 Heat the olive oil and butter over medium high heat, add in the shredded brussel sprouts, toss well and often. 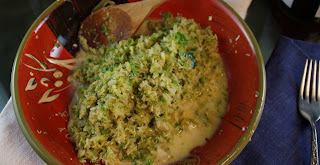 Add in the garlic, continue to cook until the sprouts just begin to soften, about 5 minutes. Add the red pepper, wine and cream, cook until the liquid boils down; it will not thicken but rather be mostly absorbed by the sprouts. Add salt and fresh black pepper to taste, serve immediately.